A pressure cookers safe? This woman says no. 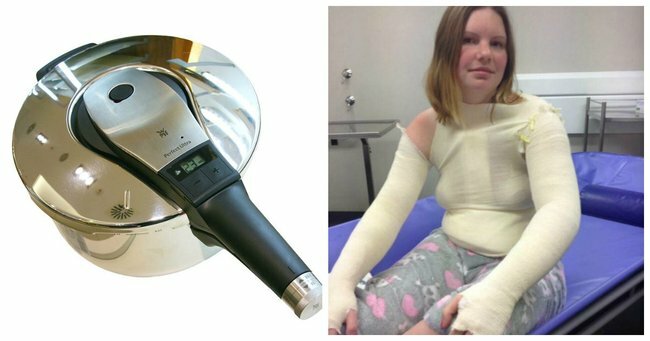 Sydney mum shares horrific images of burns suffered from exploding pressure cooker. A Sydney woman is warning about the dangers of using pressure cookers after she and her husband were seriously burned when theirs exploded, covering them in boiling soup. Cassie Hodges, a mother of three, had just put down her 12-week-old son in the living room when she went into the kitchen to check on that night’s dinner. Thinking their soup was ready, her husband went to release the pressure valve, which was when the appliance apparently gave out. “The steam came out the top as normal. Then I heard a click , suddenly I knew the lid unlocked and the next minute I was hit with something,” Cassie wrote in a Facebook post. The couple then called an ambulance and were rushed to the burns unit at Sydney&apos;s Concord Hospital. "I have severe burns to majority of both my arms my chest and my stomach. My daughter was in shock and was screaming in fear whilst watching me scream in fear also." 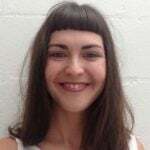 Cassie said that when the bandages were removed, they revealed large blisters and all her dead skin will need to be scraped off before being treated with Biobrane, a synthetic skin dressing. "I have never felt such pain in my life." Four days later she is still in hospital and has not been able to see her two daughter since Saturday night, while her young son is being looked after by a friend. Her husband, Mark, suffered a less serious burn to his stomach, but is still in a great deal of pain, she said. "We are both heavily medicated. Mark has to feed me like a baby, hold me whilst I cry through the pain and do everything else I need for me." Cassie shared a series of gruesome photos of her injuries in her Facebook page, hoping to inform others of the risks. "I want the one I used recalled and I want people to be aware of the dangers," she said. "We did nothing wrong the machine unlocked prematurely , it should stay locked and unable to be opened until the pressure is all gone. "[Two] minutes earlier I was holding my son, my poor son could have been hurt ... I want to make sure this never happens to anyone ever again." It follows a series of reports of serious burns caused by exploding Thermomixes in recent months.